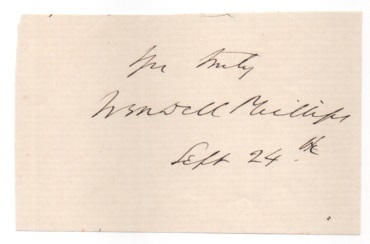 Autograph letter signed, November 28, 1877, Boston, one page. 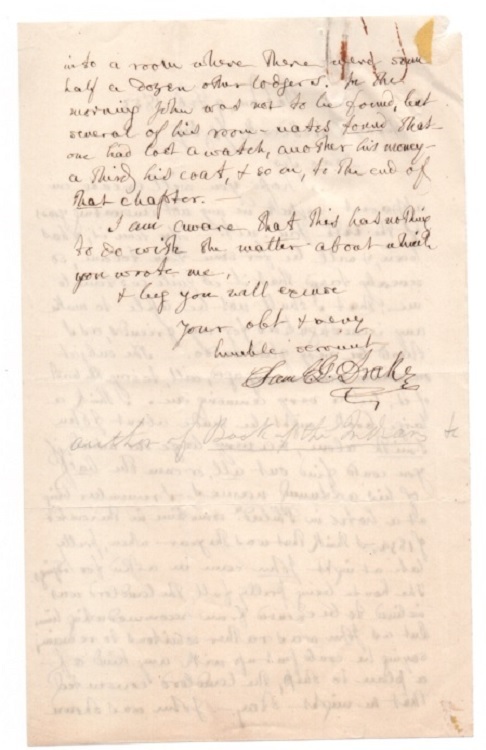 Brooks politely declines a request for an article. This would seem like a routine response until it is placed in the context of the latest technology – the telephone. 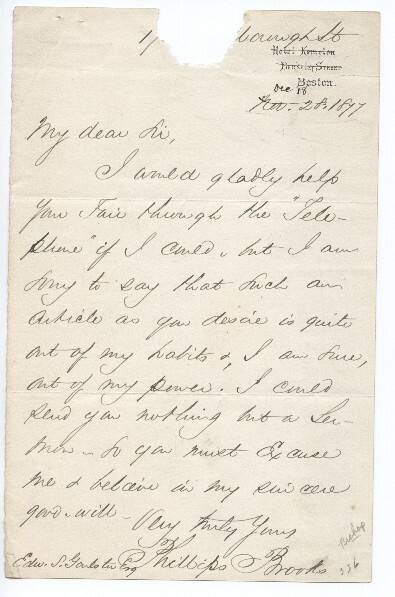 The letter is addressed to Edw. 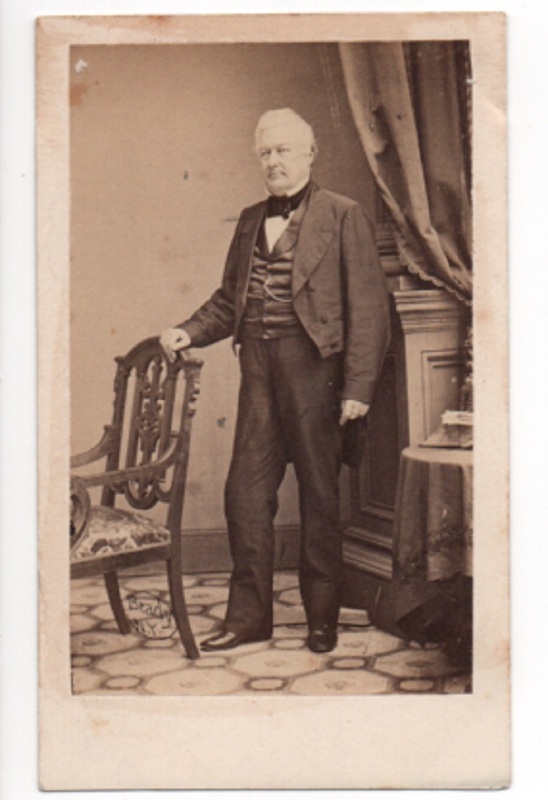 S. Garlster (or Garleston), with no address. 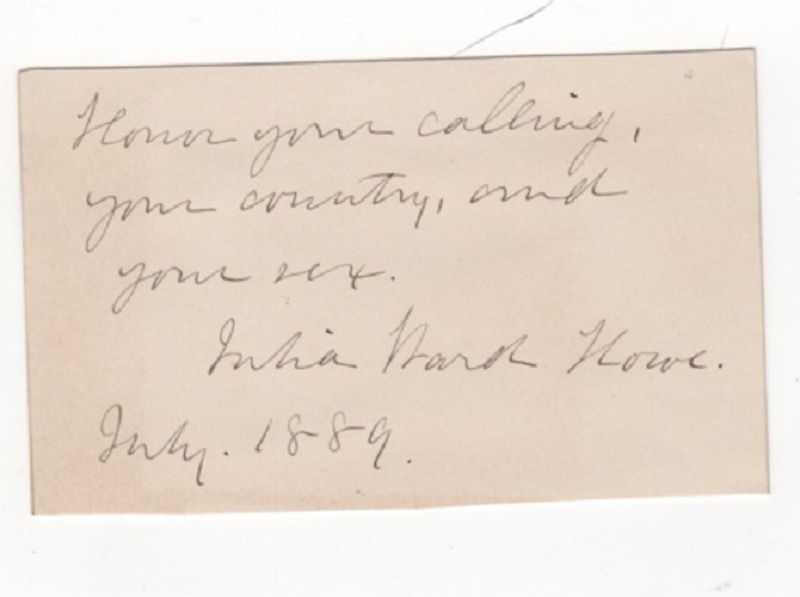 Less than two years prior to this letter, Alexander Graham Bell, in February 1876, patented his new invention. It is tempting to think that one of the nation’s most prominent religious figures was asked to comment about this new invention. Drawing a line between his role as religious leader and someone who might comment on the secular implications of modern technology he charmingly sidesteps the issue by saying he merely can only write a sermon. The letter is missing a quarter-size bite at the top. Brooks has crossed out the address of his hotel and added 17[_ Mar] borough St. 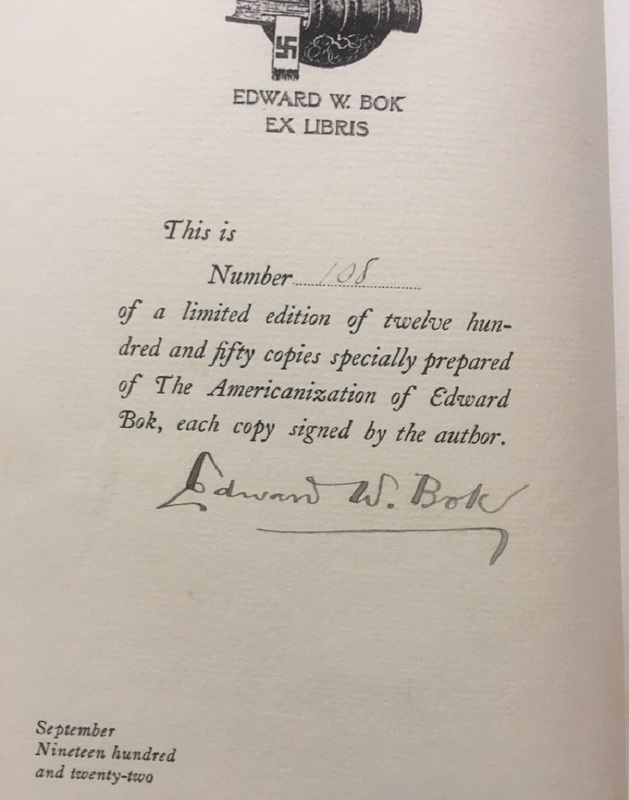 The date Nov. 28 has been crossed out and “Dec. 18” written above. 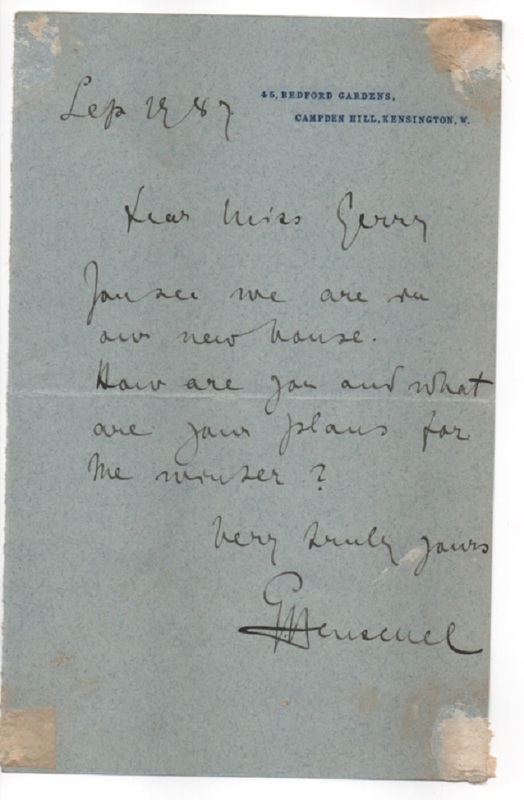 It is possible he wrote the letter in November, put it aside and then re-discovered it two weeks later when he moved into his residence at Marlborough St in Boston. 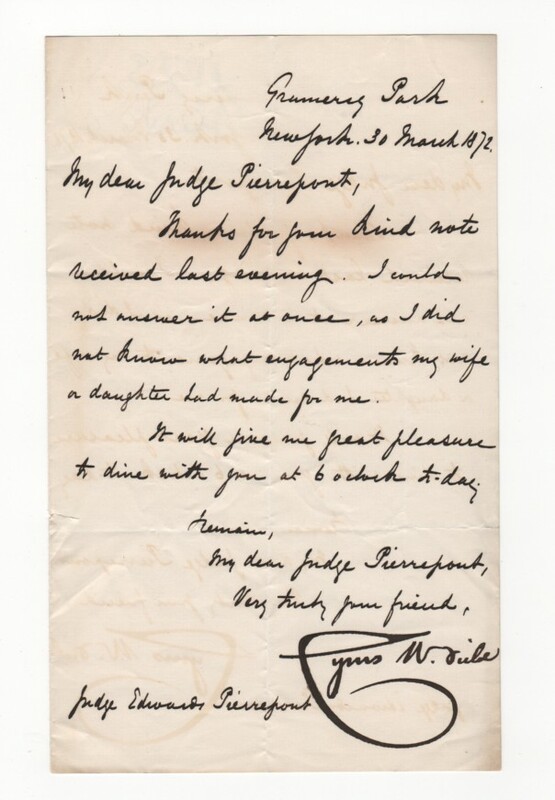 Except for the loss of paper as noted, the letter is in excellent condition and is a nice early reference to the telephone, which had not yet been made commercially viable. 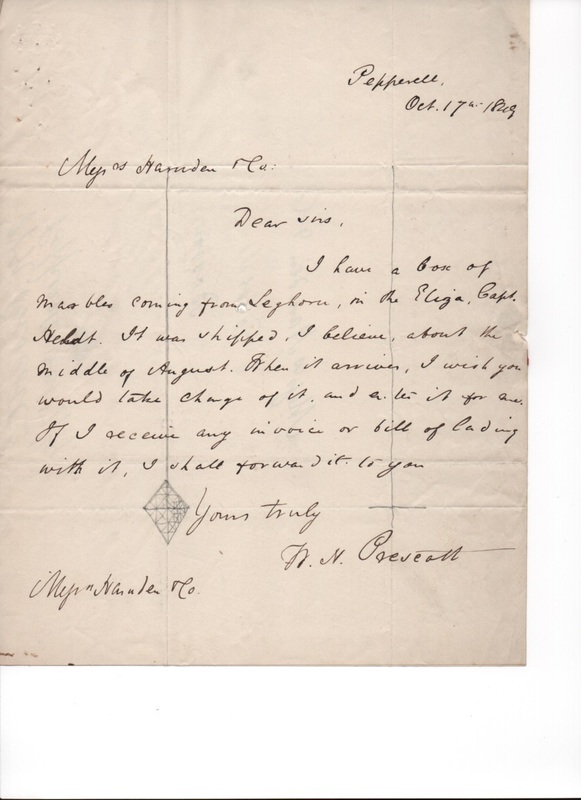 The letter is worthy of further research. 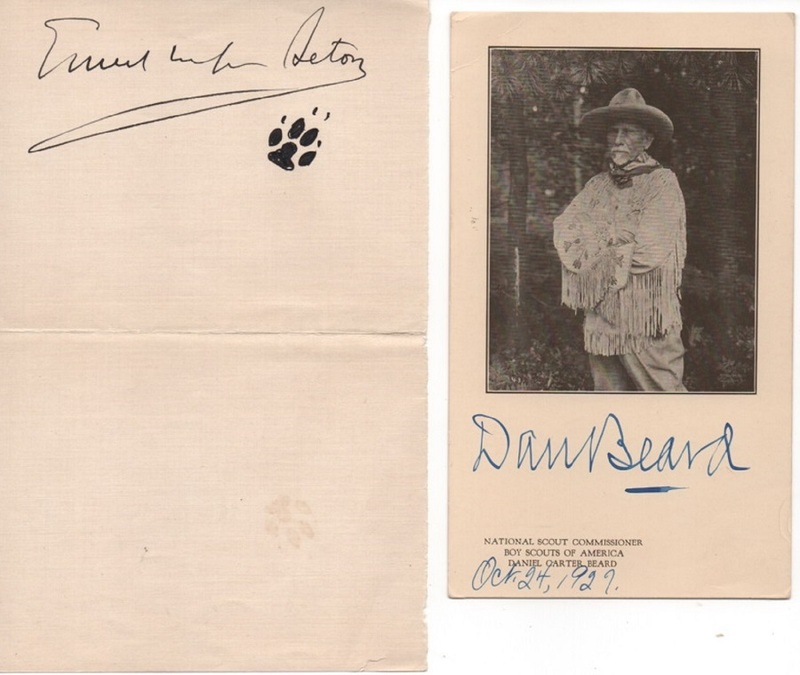 Boy Scouts - a small signed photo card by Dan Beard with a signed slip from Ernest Thompson Seton who adds an ink drawing of a paw print. 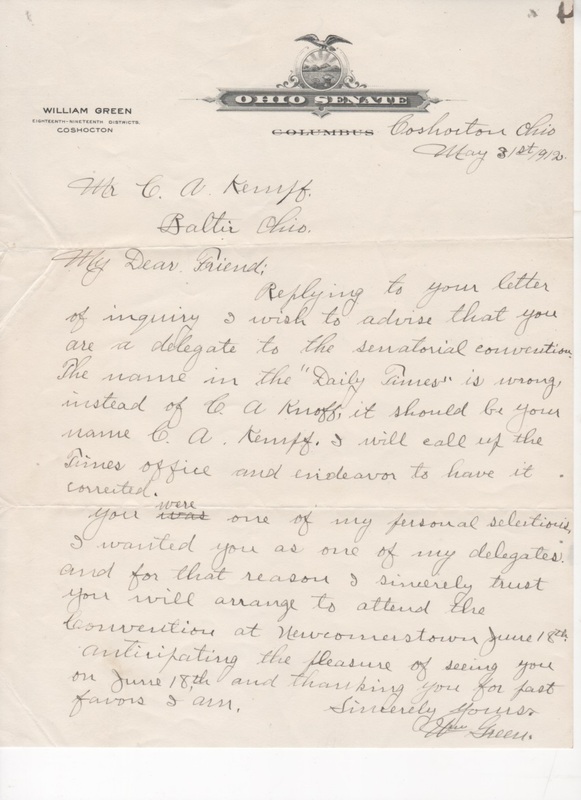 Both were early leaders of American Scouting. Massachusetts Broadside proclaiming a Day of Thanksgiving. 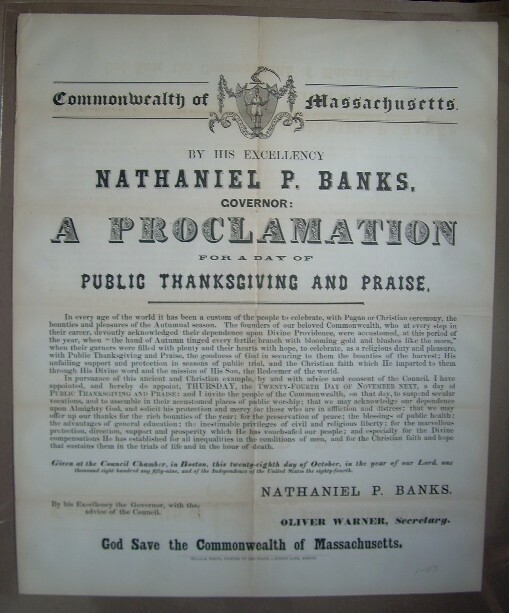 The Proclamation issued by Governor Nathaniel Banks declares Thursday November 25, 1858 as a day of Public Thanksgiving and Praise. 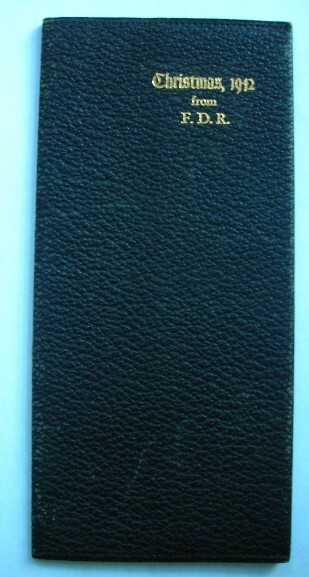 The Broadside sheet measures 22 ½ x 18 ½. 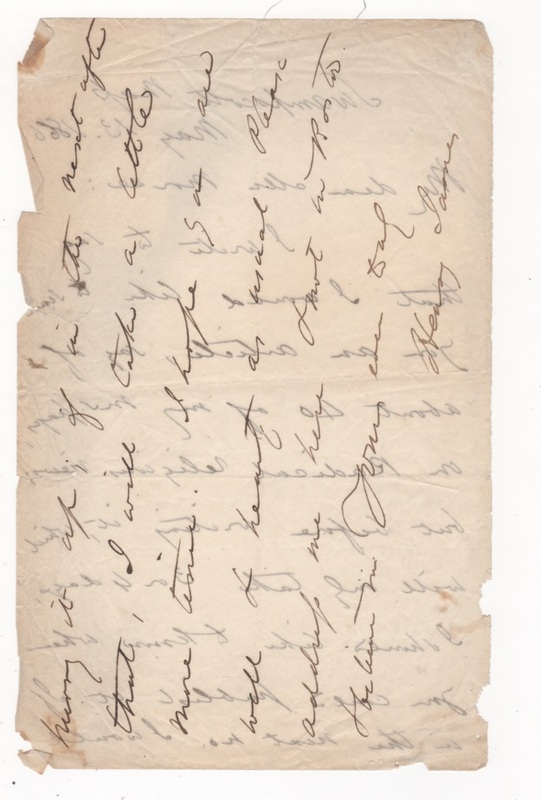 There are some fold separations which can be easily repaired and reinforced, otherwise the document is fresh and white. 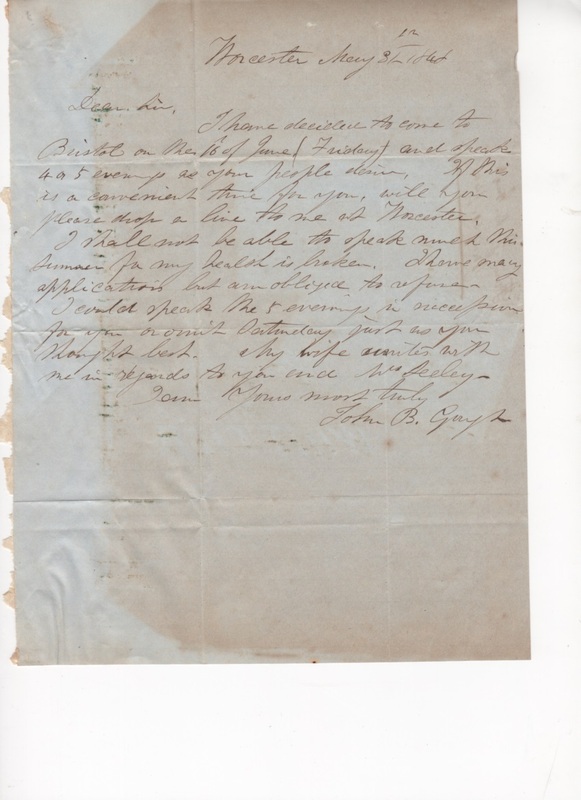 These broadsides make wonderful display pieces for any home or office.